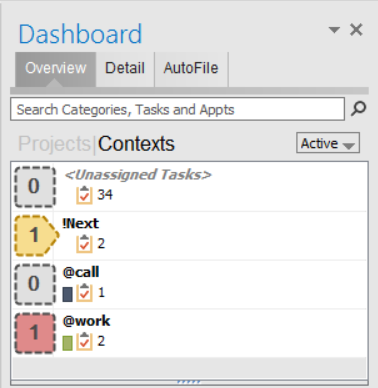 Pictured: Detail Dashboard for folder based Projects. 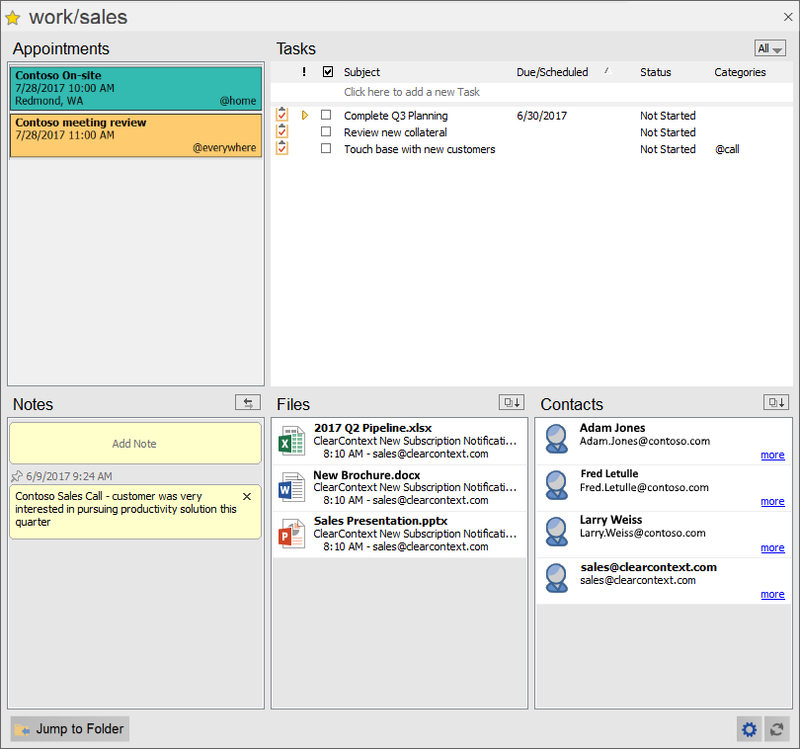 Processed Mail mode does not show Files or Contacts, and the Context Category details only show tasks. Users who have opted in to the Fast/Beta update channel have already been automatically updated this beta preview. If you would like to try the Dashboard preview, please go to your ClearContext Account screen in Outlook and enable the Fast/Beta updates. Then for an immediate update, select the check updates link in the ClearContext->About screen. Starting with this Beta build, the Beta setting has become its own separate option in the screen. If one wants to revert back to the production version at any time, the Beta option can be un-selected and the production version will be enabled. We hope you enjoy this preview of the new Dashboard and look forward to your feedback! Posted by ClearContext at 3:33 pm on July 21st, 2017. One of the great improvements in the new ClearContext is the automatic product update process. Users don’t need to worry about checking what the current product version is, and tracking down, installing and possibly having to purchase a new version. This also helps us by streamlining the release process and making it possible to provide more updates more often. For the most part, obtaining updates don’t require any attention. Once an update has been applied the product, a notification will usually be inserted into the Inbox noting the changes and improvements applied. The appearance of this notification is how one can know that the product has been updated. For those who want updates as soon as possible and are willing to deal with some occasional rough edges, there is an option available for “Beta/Fast Product Updates” in the ClearContext Account screen in Outlook. When enabled, general updates will be delivered a week or two before everyone else. Also, when beta features are available, they will only be delivered to those who have selected this option. Stay tuned, as we have a lot of great updates planned for the year! Posted by ClearContext at 2:21 pm on February 23rd, 2017. ClearContext Pro v7.1 has been released to production! Thanks to all that have tried the test versions and contributed valuable feedback and testing. If you are running the v7.1 release candidate, no further action is needed as the release version is the same as the release candidate. Otherwise, older versions of ClearContext can be upgraded by clicking on any download link at www.clearcontext.com. This is a free update for v7.0 users and users of earlier versions can obtain a discounted upgrade license at our online store. Posted by frank at 8:38 am on December 28th, 2015. The ClearContext v7.1 Release Candidate is now available for download. This version is intended to become the production release and we encourage all users to update to this new version. Posted by frank at 11:07 am on December 15th, 2015. We have released the second Beta build for v7.1 and it is available now to anyone who would like to try it. Thanks to our Connect members who have already participated in helping with the testing. 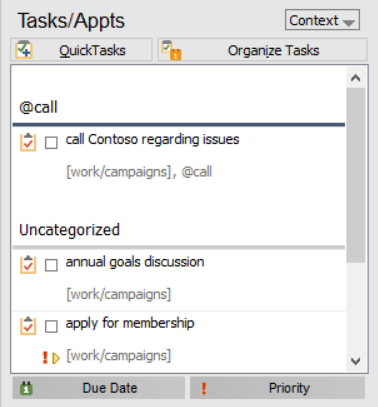 Beta 2 fixes several issues found in Beta 1 and also adds the capability to automatically assign a category to delegated tasks. The testing has been going well and we expect the release version to be available within a few weeks. Posted by frank at 12:40 pm on December 4th, 2015. Posted by frank at 8:54 am on March 17th, 2015. We’ve had a couple of maintenance releases to address some issues that cropped up since the original v7.0 release. The latest v7.0.3 update addresses an issue that affects many users and we recommend that all v7 users update to this latest version. To upgrade, please shut down Outlook and click on a download link at www.clearcontext.com. Posted by frank at 10:48 am on January 23rd, 2015.